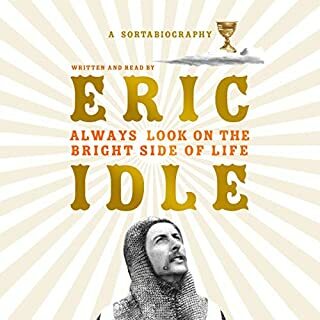 A dynamic remastering of the second BBC Radio 4 full-cast serial - Fit the Seventh to Fit the Twelfth - which spawned a phenomenal hitchhiking legend. 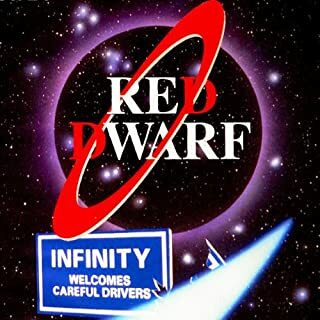 The second original series of The Hitchhiker’s Guide to the Galaxy remastered by Dirk Maggs (director of the Tertiary, Quandary and Quintessential Phases) to give a full, vibrant sound, now with Philip Pope’s version of the familiar theme tune and specially re-recorded announcements by John Marsh. 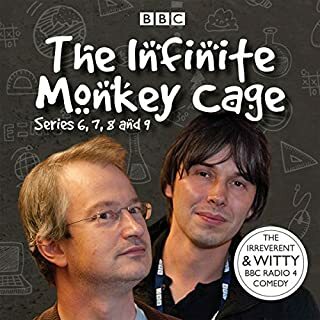 Peter Jones, Simon Jones, Geoffrey McGivern, Mark Wing-Davey, Stephen Moore and a full supporting cast star in these BBC Radio 4 episodes. 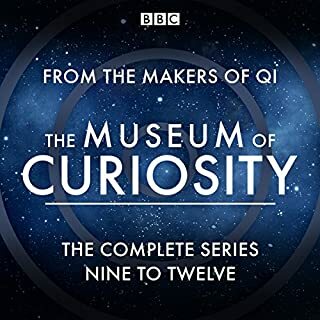 Also included is a bonus 50-minute interview with Douglas Adams - who died in 2001 - in which he discusses his career and work. In the Primary Phase, one reviewer (Vance) gave the series a very low rating. It seemed odd to me, as I had listened to the 3rd, 4th, and 5th phases with no problems. Yes, I know I'm listening to them backwards, but it doesn't matter, as they are all fun. As I write this, I have not listened to the Primary Phase where Vance gave his review, but I have listened to the Secondary Phase, which also is a remastered version, as opposed to the 3rd, 4th, and 5th phases, which are not. Here is what I found from the Secondary Phase. 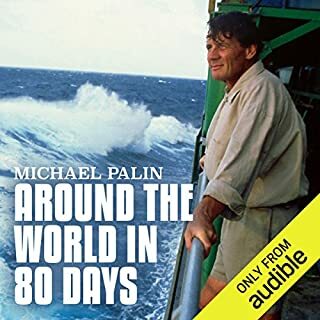 I always download the audio book to the iPod side of my iPhone, and I listen a lot while driving. Though I had no problems with the 3rd, 4th, and 5th phases while driving, I had quite a bit of a problem with the Secondary Phase. It seems that some of the voices for some of the time have been mixed at too low of a volume. I'm not sure if the recording engineer mixed the stereo pan too far left or right, but here's what happened. While driving in the car, a voice would drop so low in volume that I had to turn up the radio dial volume (I have my iPhone connected to the car's stereo system)...then the volume on the next voice would come booming through, and I had to quickly turn the volume back down. After about 15 minutes of playing with the volume, I gave up on listening to it in the car. Eventually I finished it, but I did so with my iPhone ear phones stuck in my ears while on my walks. There was still a problem with the volume swing of the voices, but not to the extent that I had while listening in the car. Again...no such problem with the 3rd, 4th, and 5th phases. 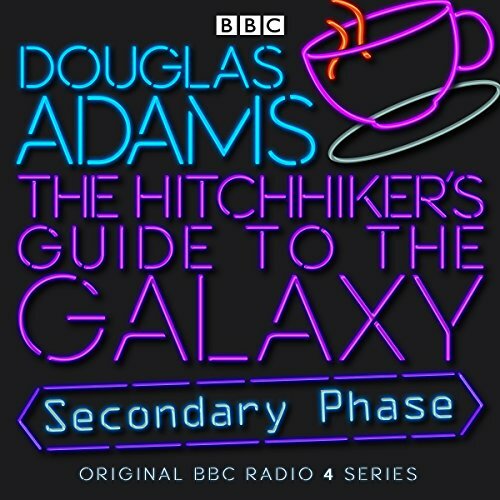 One fun thing about the Secondary Phase is that is provides us with an audio interview of author Douglas Adams. I found it very enjoyable. It is a shame that he died so very young. I think the interview is worth the purchase of the audio alone. 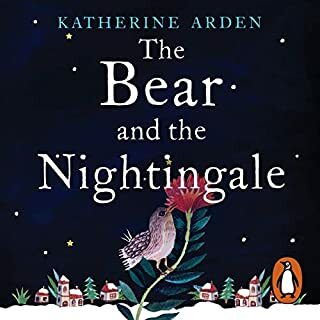 If you feel you can deal with the volume swings, then make the purchase, as the story and the acting are both great. Here it is! The continuation of the adventures of Arthur Dent, Ford Prefect and the rest of the Hitchhiker characters! The next 6 episodes take up where the first phase left off and take you in a completely new direction from the books, TV series or the movie. Some things will be familiar, but, others are completely new. 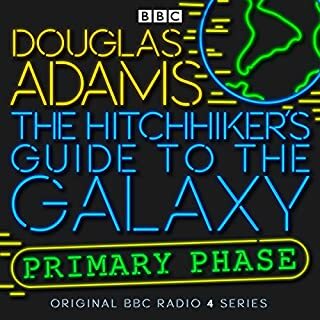 Whether you're a long-time Hitchhiker fan or new to the series, you won't want to miss this unique production from Douglas Adams and the BBC. Get it now! Don't wait! Add it to your cart right now before you forget it! Then, sit back, listen, and, again, most of all, Don't Panic! 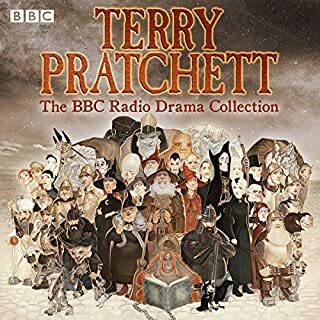 This is the original radio drama production, and includes an interview with the author at the end. Good audio quality and chaptering. While slightly different than the books the radio programs are fantastic. Easy to see why it's become such a phenomenon. More zany craziness, but not as much pop. This is just as crazy as the first series, but not quite as well done or filled out. It doesn't move as well. 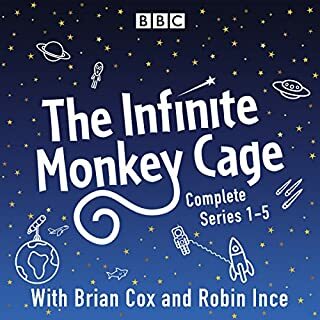 Having said that it is still a bit of fun well worth listening to, especially as it it is performed by a top notch cast. I'm not new to H2G2, but if you are then go ahead and listen to it. 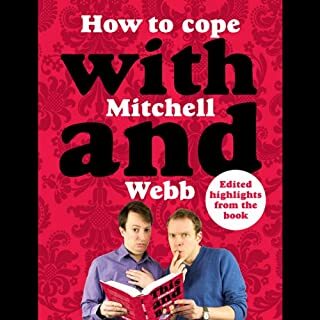 I've read the series but listening takes it to a whole new level. The first time I listened to it was decades ago but it doesn't loose its charm. It is a timeless masterpiece. 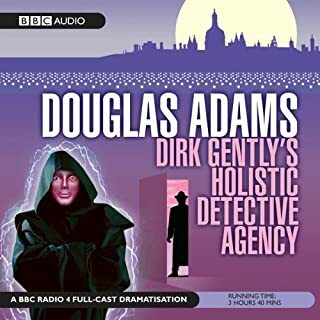 What I wanted to point out is that there is a delightful (semi hidden) gem at the end of this one which is an interview with D. A.
I've always appreciated the man, but after listening to the interview I respect him even more. Fun new chapter to Hitchhiker's Guide. I really enjoyed this expansion of the Hitchhiker's universe. As always the BBC did an extraordinary job with the production values. My only complaint is that story tends to ramble a lot more than the original trilogy. The story was less coherent and it felt like a series of unrelated events tied together by odd coincidence. I get that that's kind of the point of Hitchhiker's, but the secondary phase seems even more disjointed than I was expecting, with little payoff at the end. In fact, it ends on a frustrating cliffhanger. 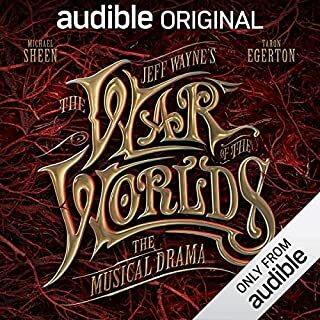 So I found myself struggling to stay with this audio drama, and at times had to step away from it for awhile, then come back to it later. Still I enjoyed it overall, and the fantastic performances combined with amazing experience sound effects almost make up for the weaker storyline. If you enjoy the original Hitchhiker's BBC radio drama, then you'll probably enjoy this as well. But if you're new to the world of Hitchhiker's, then I'd recommend listening to the original series first. This is part two of five of the Hitchhiker's Guide. Just simply loved this entire series of the Hitchhiker's Guide, being the original BBC radio series. Highly recommended! Great fun for all Hitchhikers fans! It's fascinating to see the differences between this and the other versions of the Hitchhikers universe. Also there's a wonderful interview with Douglas Adams after the program that all fans will enjoy. Fascinating story. Amazing sound and continuum. I have really liked the connection between the audio and story. Extraordinary how good a well construction scifi book can be. 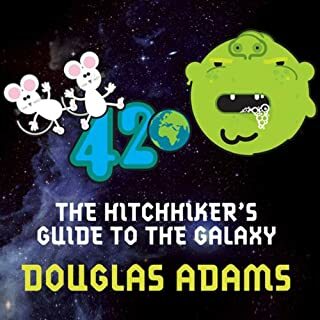 What did you like most about The Hitchhiker's Guide to the Galaxy? This is the funniest unit of text and dialogue in the history of text and/or dialogue. If there is indeed a god, this is his sense of humour reflected back at him/her to prove what a complete dingoe's kidney the act of creation has proven to be. No-one is spared: scientists, the media, philosophers, all are lampooned. The sheer level of creativity is awesome, or monumental. It makes Machu Pichu look like a Play-dough project. Shakespeare may be more tragic, but never funnier - or indeed, more profound in the way human vanity is so mercilessly exposed and observed. Adams may not use a cold light, but it's terriby BRIGHT. While all the characters have great style and wonderful lines, there is an element of being there just to say the funny things. Having said that, the competitive banter between Arthur and Zaphod is credibly acerbic. Similarly, the way Ford swaps alliances between these two is also effectively unfair. Marvin deserves a seperate chapter of comment. However, the most endearing voice is that of Peter Jones as the book, whose style is that of a research professor presenting the facts with deliberate precision and not a hint of irony. This makes for historic comedy, while making you wonder if what he is describing actually exists or has happened somewhere out there in the time/space continuum! I laughed while it was on. I cried when it finished. Then I put it on again, and started laughing again. Until it stopped again. I think you get the picture. 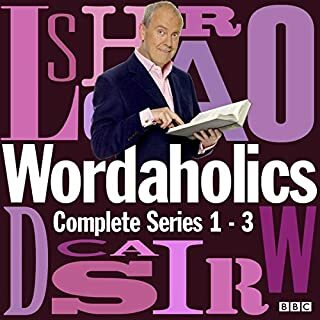 Indespensibly invaluable, and beyond the scope of any superlative in any human language. Ask your god(s) for more appropriate perspicacity. I rest my case for the acquisition. "who is this God bloke, anyway?" This is what started it all. It is fantastic funny and alternative view on the universe. It is full of quotable lines that stay with you day after day. This is a classic radio production from the BBC, and it is great to have the chance to hear it again. But the sound quality of this edition is terrible. It's mono, slightly distorted and has been unsympathetically transcoded. A shame. I love the accent, the British sense of humour. Interview at the end seems to be about nothing in particular, yet I could listen to those trained voices again and again. 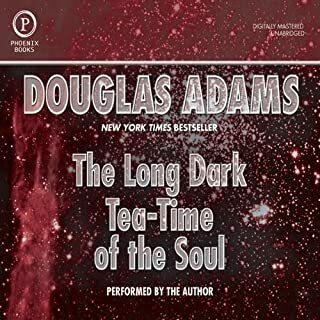 The second installment of Douglas Adams' absolutely brilliant sci-fi comedy. An eternal classic everyone should listen to, ideally after listening to the first one! The humour is bizarre and the narrative can be loopy, but that's the style of it. Stick with it and it'll grow on you. The show is excellently produced, well-acted and of the highest quality. 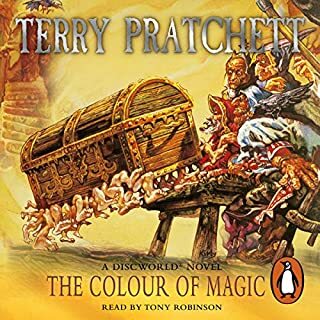 Many years ago I listened to this on the radio, it is still as amazing as ever, every time I listen I can hear new things in it. Soo worth getting for lovers of science fiction/comedy. A classic that still lives.